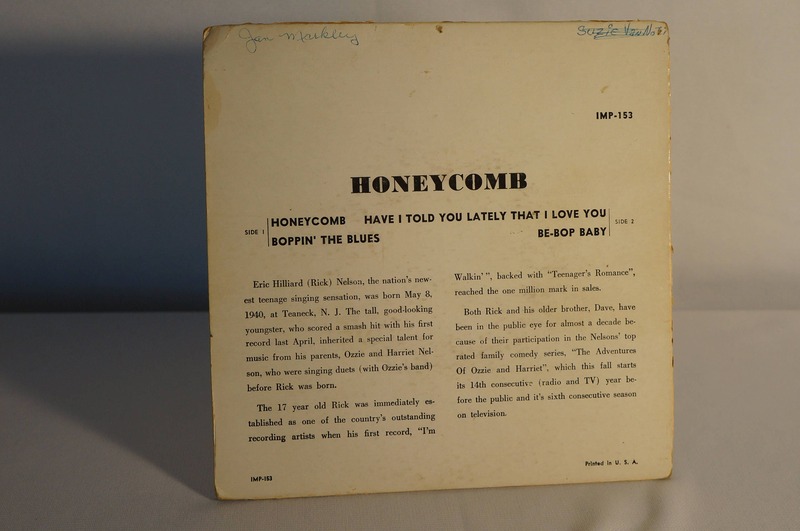 Picture sleeve only, no record. 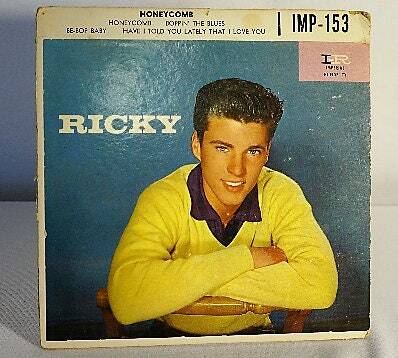 The music probably wasn't that good, but the real magic is in young Ricky's charming smile. Ginger and I were chatting that we think Ricky here would probably knock them dead even to this day. 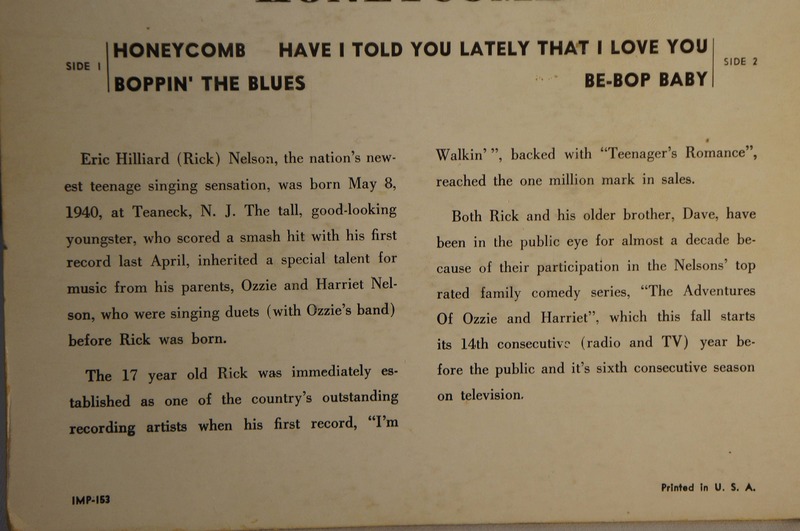 Imagine all the teenage girls back in the 1950s swooning to his crooning! This would look great hanging on your wall in a retro A)V record player den, Airstream, or something like that.